Arabic Booker Prize ‘Book of Excerpts’ Published…Tomorrow? 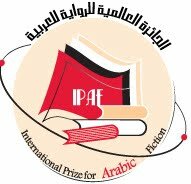 The International Prize for Arabic Fiction (IPAF) announced today that a unique “Book of Excerpts” from the six shortlisted novels for the 2010 IPAF Prize will be published early next week in Arabic and English. The IPAF is, of course, the prestigious “Arabic Booker” prize, launched in 2007. Shortlisted books for 2010 are Mansoura Ez Eldin’s Beyond Paradise, Muhammad Al Mansi Qindeel’s A Cloudy Day on the West Side, Rabee Jabir’s America, Abdo Khal’s She Throws Sparks, Raba’i Madhoun’s The Lady From Tel Aviv, and Jamal Naji’s When The Wolves Grow Old. My understanding is that Raba’i Madhoun’s The Lady from Tel Aviv is this year’s front-runner. In any case, the winner will be announced March 2, the first day of the Abu Dhabi Book Fair. …complimentary copies will be distributed on Saturday February 27 with The National and on Sunday February 28 with Al Ittihad, whose combined readership is over 400,000. “The book includes striking excerpts from the six shortlisted novels, with biographies of the writers, the judges and the translators who worked on the texts,” said Salwa Mikdadi, Head of the Arts and Culture Programme at the Emirates Foundation for Philanthropy, which provides funding for the Prize to its Board of Trustees. The hope is, of course, that this will stimulate local and international interest in reading Arabic fiction. Perhaps this is part of the Emirati plan to conserve a love of Arabic in the small, oil-rich nation.